Anyone who teaches middle schoolers is probably familiar with the question, “When are we going to use this?” It’s something about being 12-years -old that produces this ever-growing need to know. And we all know that good teaching practices include making real-world connections. Even many of the standards add that phrase. The truth of the matter is that sometimes those real-life connections can seem a bit contrived. Thus, Scholastic Magazines for middle school make perfect sense! Read more to find out how to enter to win a Scholastic Magazine classroom subscription to the magazine of your choice for the 2017/18 school year! Update: The winner is Nancy S. Thanks so much for participating! At the end of the summer, Scholastic generously offered a full year magazine subscription to one of my readers. It was incredible to see the interest in the classroom subscriptions, as well as to see how many readers have used the magazines in the past. Many commented that students were engaged and enjoyed the real-world connection. From firsthand experience, I have seen students read about current events and ask questions about what is going on in the news, which, for a 12-year-old, is pretty awesome! To Which Content Areas Does This Apply? 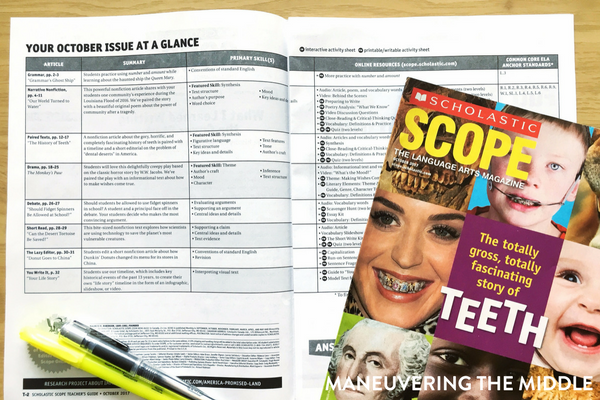 I think most teachers are surprised to hear that Scholastic Magazines not only cover all content areas but that they also have resources for middle school. Mrs. Brack allowed students to read the classroom magazines as an incentive to early finishers. There are two unique magazines that I can see having great benefit in middle school. The first of these is Scholastic Choices, which is a health, social-emotional learning, and life skills magazine for teens. Middle school students are facing more and more pressure, stress, and social situations that they are not necessarily well equipped to handle. As teachers, we teach the whole student, not just the curriculum. Oftentimes, this means addressing character – from treating others with kindness, to stepping away from situations, to managing time and responsibilities. The Scholastic Choices magazine is a great way to introduce these hard topics in an empowering way. I see this being beneficial in an advisory/homeroom period to provide a balance to academics. My ELA counterparts would often struggle to find reading material for lower-level readers. The text was either too young-looking or written at too high of a level, or it was just plain boring. 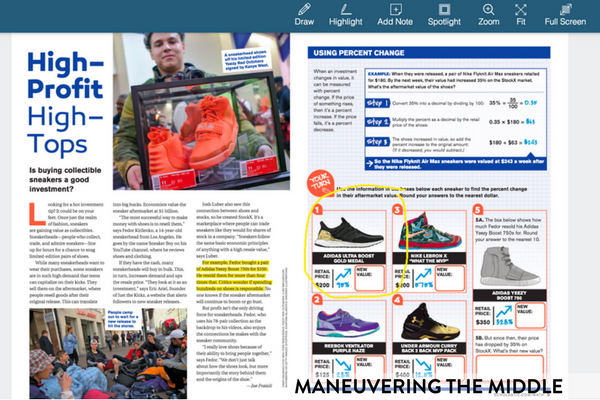 Scholastic Action is the second magazine that I think has a great benefit for middle school, and it is a great solution for engaging struggling readers. This would be a great way to differentiate for English Language Learners, as well. When your Scholastic Magazines arrive on campus, they will be delivered straight to your classroom as a class set of magazines and a teacher’s guide. The teacher’s guide provides alignment to standards, guiding questions, and even shows you the online resources that correspond with each article. I love how Scholastic Scope provides a Lexile reading level, essential questions, and learning objectives. Who doesn’t love a well-thought-out lesson that is ready to go? When I learned that Scholastic offers online features, I was super impressed! It seems like a hidden gem that is a great toolbox from which to pull ideas and resources. Back Issues – I love how the online resource provides backdated articles! It acts as a library of resources that are then organized by topic/standard. Videos – There are highly engaging videos that could act as a hook or even as a discussion starter. Online Articles – If your classroom is 1:1, or if you are looking for ways to incorporate technology, then the articles are available in a digital format, where students can open the magazine view and see everything on their screen. The features even include annotations, like highlighting and adding notes. I totally see this working as a whole-class discussion, as well! 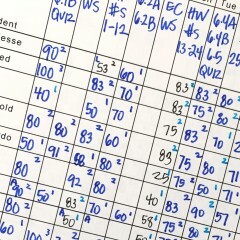 Skill Sheets – In the math library, there are quick one-page skill sheets that correspond with topics. I see this being a great resource for parents and students at home. I already talked about this a bit, but homeroom can be a struggle. Sometimes it is intended to be a study hall; sometimes it becomes just a time for students to socialize. More often than not, if you don’t have a plan for homeroom, then you are going to be up a creek by October. 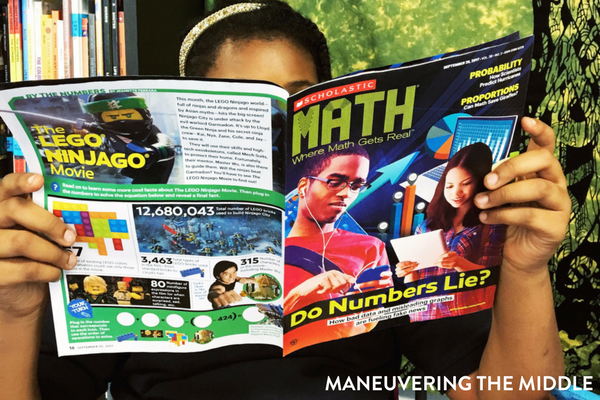 Scholastic Magazines can provide an engaging alternative to homeroom. In math it can be difficult to find super relevant hooks/videos that show how the math that students are learning is applied later. I really love how Scholastic MATH has brought that to life. In a recent issue, they discussed rate and speed of a zip line – talk about creative! 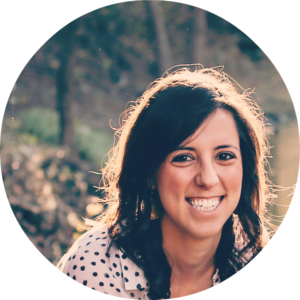 This week I was chatting with my friend Kristen about all the incredible things she is doing in her classroom. Because, when teachers get together, it’s inevitable. One of the things she mentioned was her team’s desire to incorporate more and more non-fiction texts. It can be challenging to find non-fiction texts that are on the right level and that are interesting. 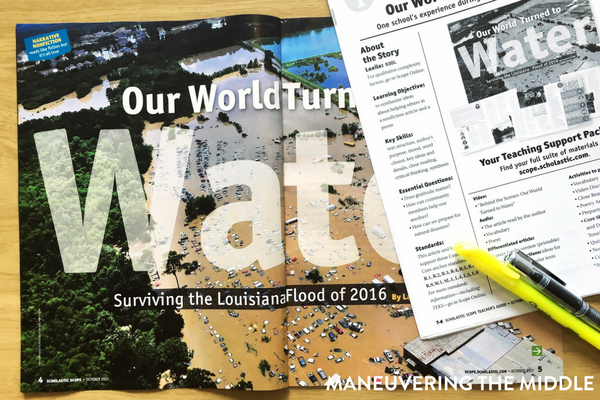 I love that each issue provides students that opportunity to engage with non-fiction text. Hopefully, this gave you a good idea of what to expect from a Scholastic Magazines subscription. I would love to hear from those of you who have benefited from using them in your classroom. 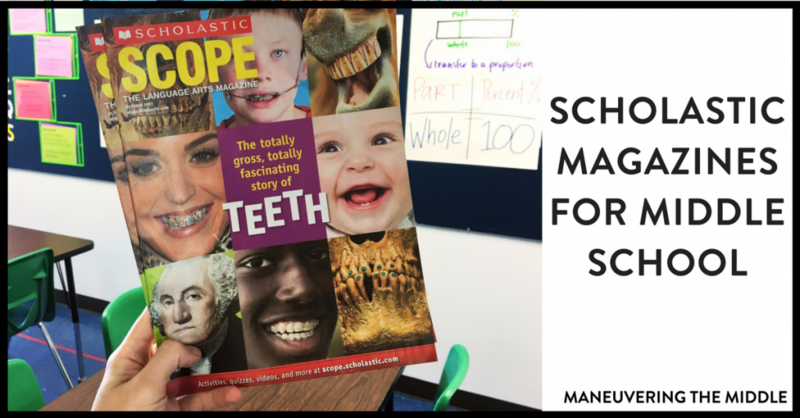 Scholastic has generously offered another classroom subscription to one of our readers. Simply comment below sharing an idea for how you might utilize the magazine in your classroom. 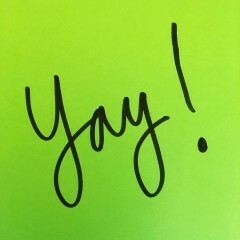 Update: The winner is Nancy S. Thanks so much for participating! You can still sign up here to receive a free 30 day trial for the Choices magazine! I will use it during our daily reading time and to incorporate engaging text into my class. 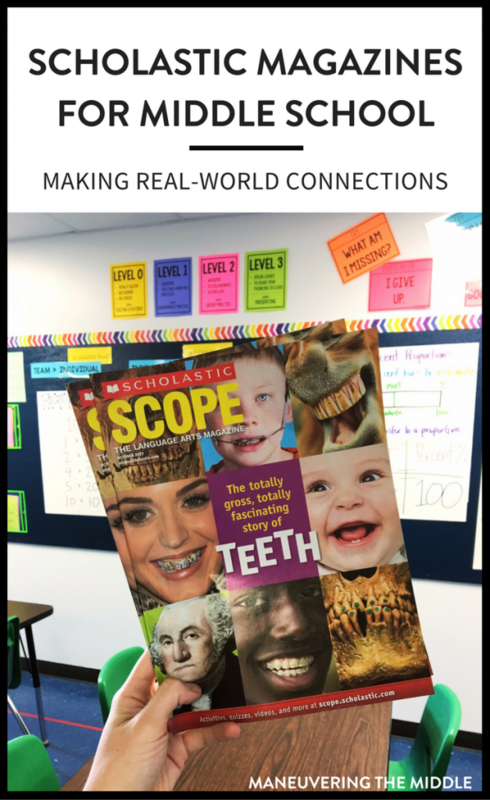 Scholastic Scope looks amazing for pairing text! Yes, I think its awesome for paired text! 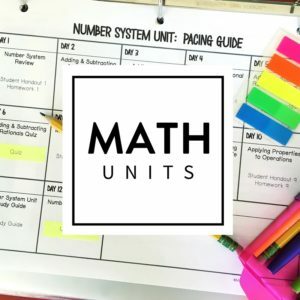 I’m a middle school math teacher, and stepping into guided math. And using small groups in the classroom. These would make an awesome small group activity. Also being able to use the technology with the magazine would make it even more interesting for the kids. I would love to get a class set of the scholastic math magazines. Guided math…amazing! I was super impressed with the technology aspect too! I teach 6th grade at a 5-12 school with no library or literacy closet. I will soon run out of literature for guided reading or book clubs. These magazines would allow me to do guided reading using the same text. This would be a great way to utilize the resources! 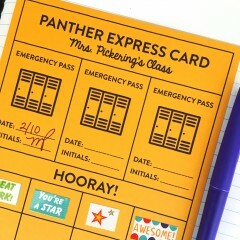 I would love these for my 6th graders in small group time! Yes, I think that is a great idea! I would use to better help my students see how math relates to so much in real life! They need to see where they’ll use it to get behind learning it. I would love to use them for groups in science or math! I love that there is a dedicated magazine for math and science! I teach 7th grade science so I would use the magazines to help make real world connections with the concepts we are learning in class. And I love the idea of using the magazine for homeroom/tutorials. Fridays at our school are for enrichment and this would be perfect! They are super handy for tutorials! 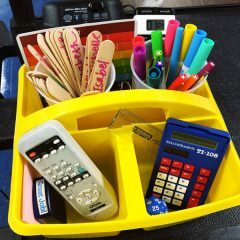 This would make for a great technology station when we do guided math. I like that technology is already available. When I taught elementary school, I loved using the online features to extend what the students read in the text. I’d love to try this out at a middle school level! 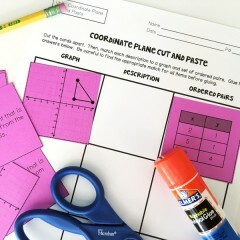 I’m also excited about using the math ones to connect math to real life! The math ones are really nice for the real-world application! At our school, we have combined a variety of readers into the ELA classrooms. Our resources are limited for our extremely low and struggling readers. We have more struggling readers than grade level in our classrooms. I would love to incorporate Scholastic Action into our Middle School ELA classroomS to help bridge the gap and also to assist in differentiating instruction for ESE AND ELL students. Our students need these resources to help them to succeed and not get lost in the system. It sounds like Action would be a great fit for your classroom! I co-teach with our reading classes for 6th to 8th grade and we would love to win a class set of Scholastic Action to use in our small groups and to engage students with their reading. Our goal is to increase their fluency and comprehension through engaging articles. Our students don’t want to read a text that looks childish because they don’t want to be embarrassed or look like they a struggling reader. This would help solve many issues as well as hold their attention. My ELA friends have mentioned that before as well…it is a struggle to find text without things looking childish. Thanks! Yes, Action is perfect for that! I would love to use them as part of my daily reading centers. This would engage my reluctant readers, as the magazines provide high interest and connect to current topics. Yes, they are high interest! I love to use them with my 6th grade ELA students in small groups and for re-teaching or reviewing. Students like the articles. I love that there are so many great non-fiction articles that I can pair up with stories that we read together in class. I would use the magazines to incorporate other texts into Math and Science. I teach both subjects for sixth grade and could also use the magazine as a way to blend the two subjects. Kids love magazines, so it makes the material more interesting! I would use the Math magazine with my students to read nonfiction text in the math classroom as well as enhance our curriculum. We read a story about Fiona the Hippo, wrote algebraic expressions and they were so engaged! It was awesome! I would love to get a classroom subscription for my students. I am constantly seeking new informational text resources to use with my students, who are eager to learn about current events. I would use this resource to tweak my “Article of the Week” activity, allowing student some choice of the article they annotate and respond to. It would save me a lot of time searching for appropriate articles, and it would give my students more choice; always a good thing with adolescents. 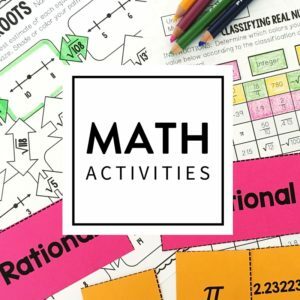 I would love to be able to find engaging material for our middle school math classroom. This sounds like a great way to keep kids interested in the math and to increase the use of literacy practices across the Curriculum. Would also be great if ELAR could tie into my math lessons through this. I loved them as a child and my students cherish them when we get them. I would use it to help my students with writing about informational texts. It will also help them to learn about current issues that impact them. 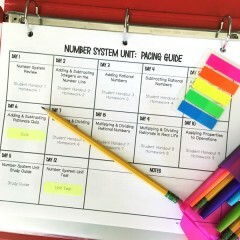 I would love a Math set to help my students see some more real-life math connections while also showing them that reading is important through all subject areas. In my district, my kiddos often have a hard time seeing how math relates to the real-world. I love these magazines not only for how they connect math with different aspects of life, but also how visual they are for my ESL (and well, any!) students. These would be a fantastic resource for my reading centers. Thank you for this opportunity. We just started a middle school Advisory program and Scholastic Choices would be a great tool to use during my Advisory. As a math teacher, I also love Scholastic Math. 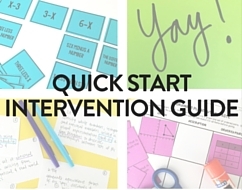 Students use these as both assignments and extension/intervention. Thank you for the information. I was aware of Junior Scholastic, which a colleague used, and Scholastic Math, which I had used years ago and loved, but did not know about Choices or Action. Choices sounds like it would fit perfectly in my Leadership class for our 7th grade students. Wow! I’ve only ever had a few random older issues passed along from other area teachers. These current issues would be such an amazing pairing with our Literacy, Geography, and Math texts. I LOVE that the magazines present important information in such an exciting and engaging way for students. Thanks for the offer! I absolutely LOVE Scholastic in my math class!! Better yet, my students LOVE it too!!! I use Scholastic during our Critical Thinking class. The students enjoy reading the current topics and then applying the math. They use problem solving skills to help solve not only the given problems, but also create new problems from the text. I must mention how much the students really enjoyed the hippo article, especially since we saw the video and then the next day saw a report on CNN student news mentioning the same topic. My CT students were in the “KNOW” and were so proud that they had current knowledge of what was going on in the news! Thank you so much for this magazine!! As a veteran teacher it is such a blessing to find a reliable source that is safe, current, and meets the needs of the students. My kids ask if we are doing a Scholastic lesson everyday!! (Unfortunately, we have to make the magazine last for a week by only doing 1-2 articles a week) . Keep up the good work!! Thank you so much!!!! I love scholastic magazines! In the past I have used their regular Scholastic News, as well as Super Science, magazines. I really wanted to try Science World this year with my science classes, as well as for informational text reading in my intervention class, however, my school no longer has the funding for these magazines. These would be a great addition to my 7th grade math guided studies class. It will offer an engaging way to get value practice in that relates to the real world. I absolutely love Scholastic magazines. I used to teach Kindergarten and used the Let’s find out in my classroom to help with mapping out the year and planning a weekly focus with a nonfiction and fiction text connections. 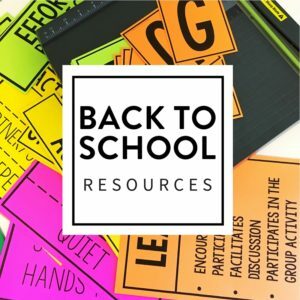 I am new to middle school this year and would love to use this with my 6th & 7th grade students for ELA to expose them to more informational text. I am a new grade 7-8 math teacher and a former physical science teacher. I always used the magazine to hook students on topics we were studying or about to study. The articles are relevant and very interesting to students. I work at a school where reading and writing are at the top of our priority list. I would love a subscription to a classroom set of magazines to make cross-curricular reading and writing an everyday occurrence and not something unusual. This would be a great addition to my inner-city math classes. I’m always looking for a way to engage them! 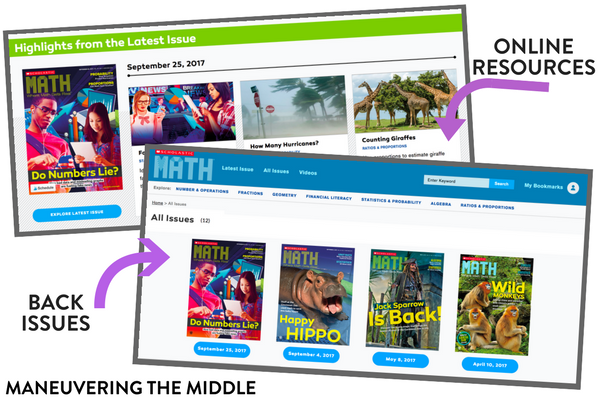 I teach at a k-8 school and would use the math magazines as lit lab content (bring some data into the scene) and during class for early finishers. My favorite parts of Scope and Action magazines are the plays. My students love to read the plays as a class and that allows be the opportunity to hear more of my students read aloud. Anyone else feeling like the text in Scope is too young to push 8th graders into that higher-level challenge? Any alternatives for ELA? Hi Jodi! I haven’t heard that yet, but if your students are ready for a challenge, you might consider Upfront. Thanks!